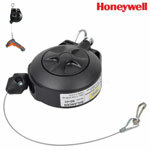 It is replaced by the Honeywell 3310g. The Honeywell 4800p is a compact solution that delivers high performance barcode scanning, plus the added versatility of digital image capture. The 4800p's unique form factor makes it ideal for installation where space is limited and continuous scan mode enables a user to easily scan items by simply placing them in front of the scanner - no need to press a trigger. Powered by Adaptus Imaging Technology 5.0, the Honeywell 4800p delivers high-performance omni-directional reading of all barcode symbologies - including linear, stacked and 2D barcodes - with a single technology solution. Regardless of the barcodes in your application today, Adaptus Imaging gives you the fl exibility to adapt as your business requirements change without the need to reinvest in new hardware. 4800p, USB kit. 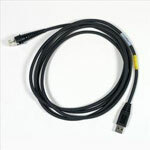 Includes scanner, stand, USB cable and users guide. 4800p, USB kit. 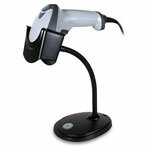 Includes scanner, stand, USB cable and quick start guide.